Hundreds of leading logistics professionals from Australia and New Zealand were given an exciting preview of the future of order fulfilment during a recent Insight seminar series on ‘Smarter, Faster, Safer Order Picking’ by Dematic . The breakfast seminars in Auckland, Brisbane, Melbourne and Sydney showcased the latest global innovations in order picking, including the trend towards Goods-to-Person (GTP) order picking solutions. According to Dematic’s Integrated Systems Manager Pas Tomasiello, the supply chain has undergone dramatic change in the past decade with cost reductions, productivity improvements and delivery performance no longer the only drivers for logistics system design. 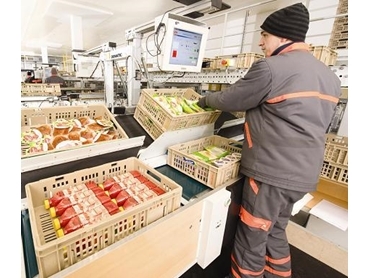 “Labour availability, OH&S and flexibility are equally important considerations with the growing awareness of these issues driving an order picking revolution across all markets from retailers to wholesalers, and manufacturers to 3PLs. “The biggest problem with the traditional approach to order fulfilment is that order pickers spend much more time travelling between picks than they actually do picking – even if they are equipped with forklifts or pallet trucks,” explained Mr Tomasiello. GTP order picking completely eliminates travel and delivers a wide range of benefits including remarkably high levels of productivity, accuracy, flexibility and safety. "While GTP is not a new concept, recent advances in software, controls and automation technologies have enabled the development of new, innovative GTP solutions for order fulfilment,” he said. “Several of the world’s leading distributors in Europe and the US including Next, Adidas and Dansk have implemented Dematic’s new GTP solutions, while locally we have also commissioned the first GTP systems in Australia and New Zealand,” added Mr Tomasiello.